And another comic book movie is upon us! 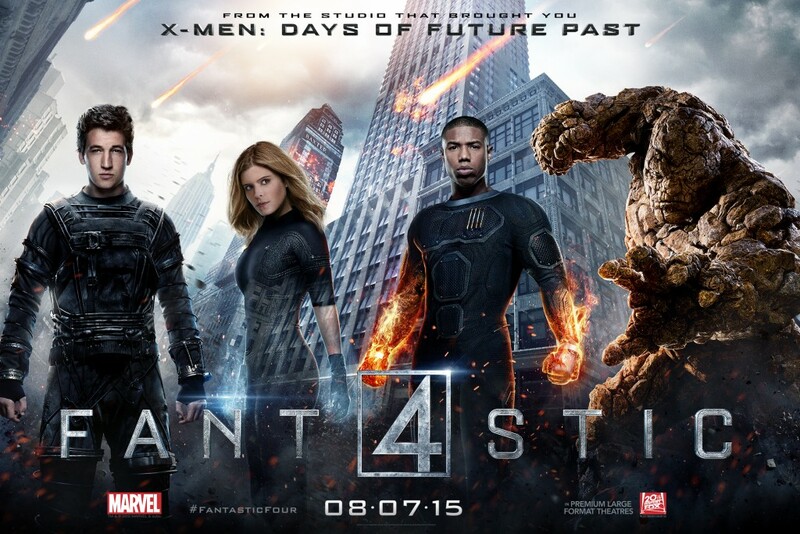 Last week I got to watch the new Fantastic Four movie and speak to Kate Mara, Michael B. Jordan, and Jamie Bell. Miles Teller wasn’t able to attend as he was busy with Allegiant: Part 1, but he did Facetime us, and the result is pretty funny. I was among other outlets and we talked about what’s it like to “act” like they have powers, superhero movies they are looking forward to (since, you know, there are about 567393959649303 coming out for years to come), which characters from other comic universes they would be BFFs with, or which they would hook up with, if they would switch powers with each other, and MORE! Check it out after the jump. Previous ArticleTV Review: Hannibal (3x09) - "And the Woman Clothed with the Sun"
Next ArticleWho Is Recording the James Bond Theme Song for 'Spectre'?